Call Jake’s Where The People Make The Difference. 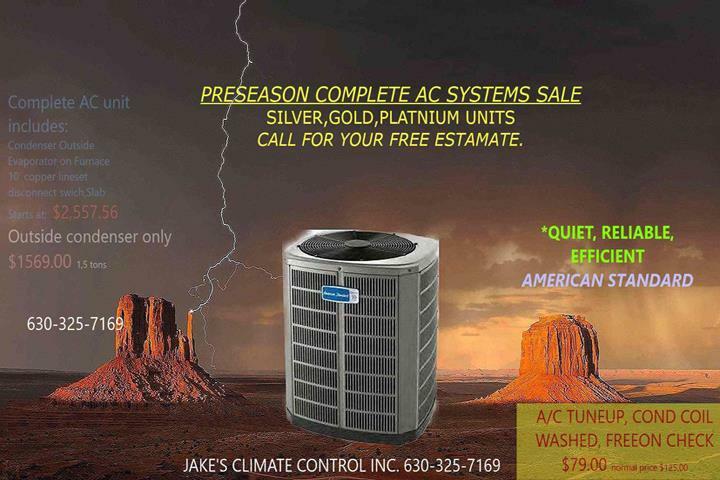 "We contacted Jake to get the A/C serviced. He said he could come the very next day. Told us the price upfront. 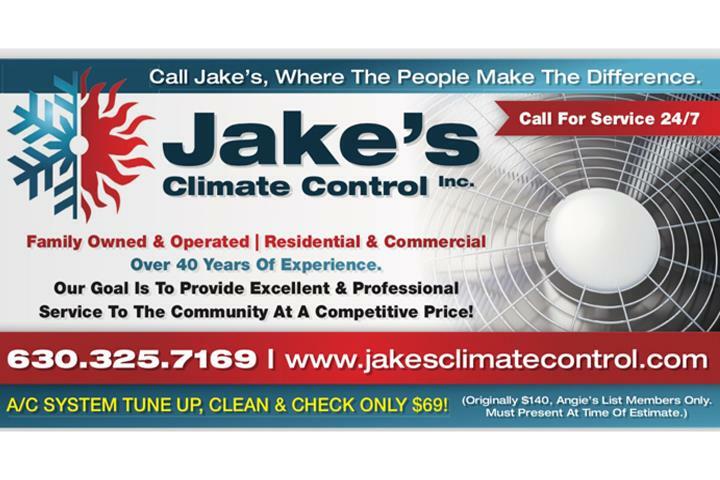 When he servic..."
"We contacted Jake to get the A/C serviced. He said he could come the very next day. Told us the price upfront. 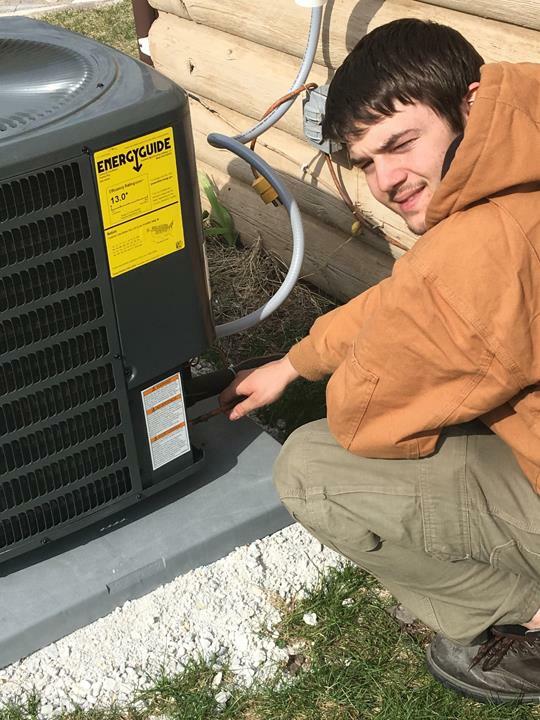 When he serviced the A/C he thoroughly cleaned the condenser and offered to service the furnace as well during the same visit, as winter is not too far away. Happy with the quality of work. Would be nice if he is reachable via text message." "they contacted me right away and were quick to come out and do the work. 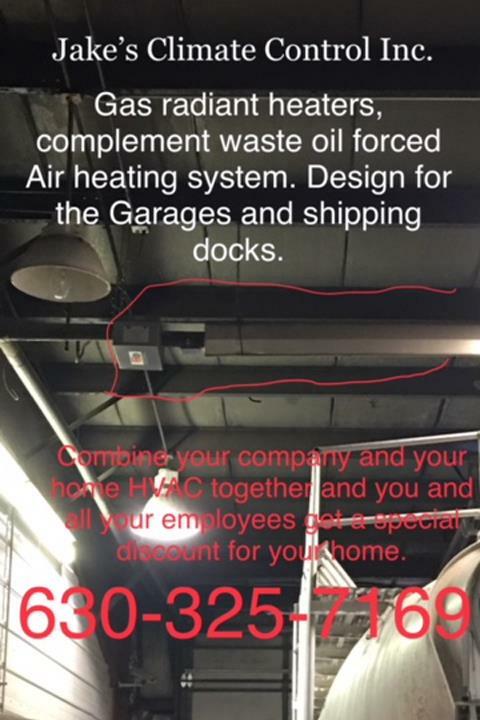 I asked about a new humidifier during the job and th..."
"they contacted me right away and were quick to come out and do the work. I asked about a new humidifier during the job and they replaced it the next day. The furnace is in a small laundry room and the old venting to the humidifier looked awful. They took the time to figure out a way to make it look nicer and cleaner." "Woke up this morning to a cold house and a non-working furnace. 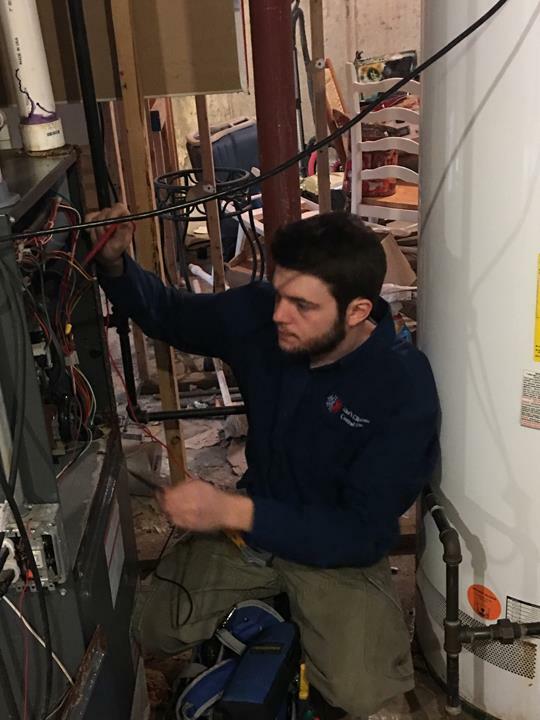 Called a few companies, and Jake's was able to come to my hom..."
"Woke up this morning to a cold house and a non-working furnace. Called a few companies, and Jake's was able to come to my home within an hour. The technicians showed up on time. They were friendly and professional. They quickly diagnosed the problem with the furnace and gave me a quote for the part and labor. They said they could pick up the part and swing back by while they were attending to other business. When they returned a little later, they installed the new part, got everything working, and were on their way. They took time to explain everything to me clearly including whey they think the part failed so that we could have a plan to address it if it happens again in the future. It was a small job, but based on how it went, I feel I could trust them with larger jobs in the future. I would recommend this company to friends and family, and I would hire them again." "I asked for the tune up to be done within one week and it was. 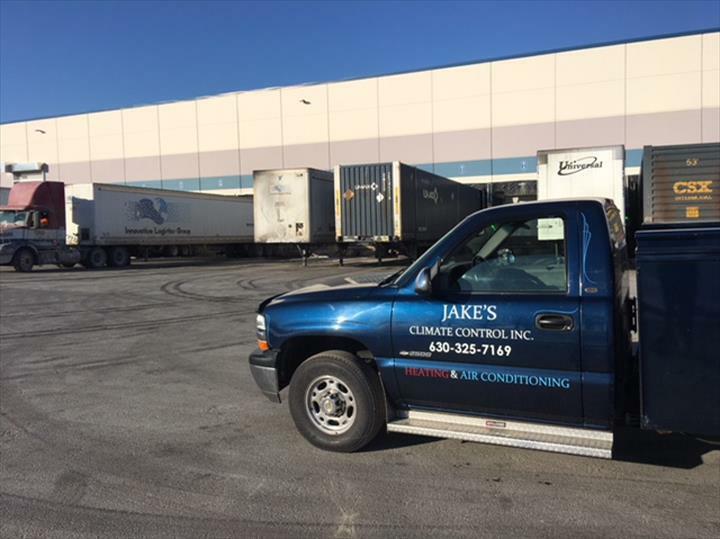 Jake was punctual and very professional and polite. 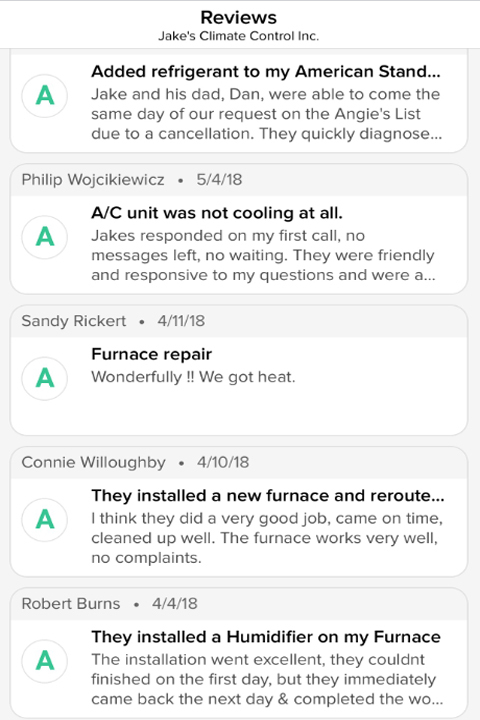 He did a good job and the furnace is working well. I will definitely continue to use his service." 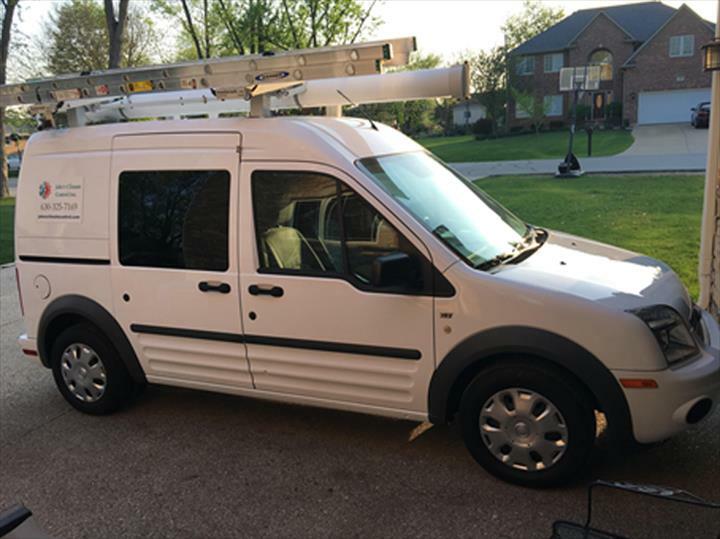 "Extremely well, we had multiple technicians come out and charge us for repairs that never fixed the problem. 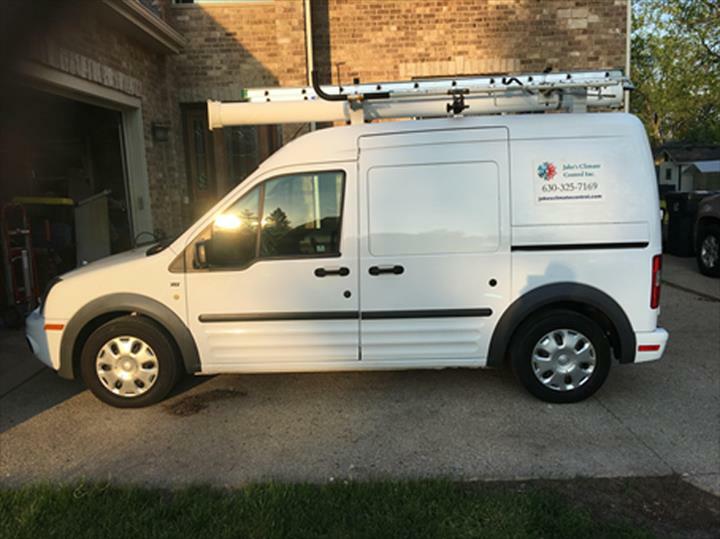 Jake and Danny c..."
"Extremely well, we had multiple technicians come out and charge us for repairs that never fixed the problem. 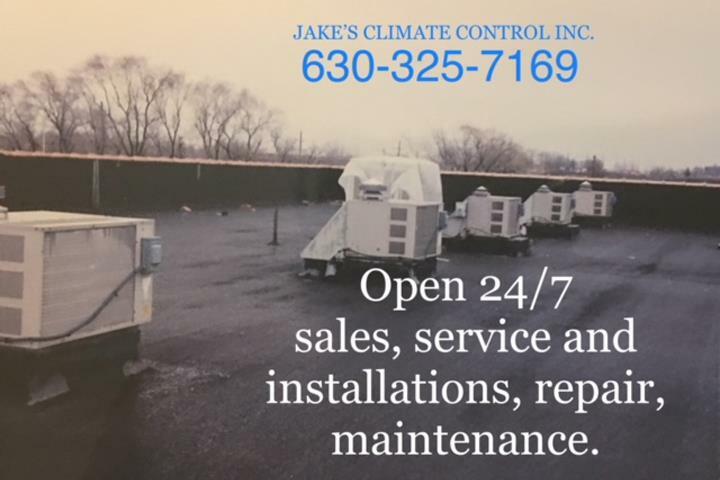 Jake and Danny came out and they not only fixed the issue at a CHEAPER cost but did extra services such as cleaning and suggesting preventative maintenance that would extend the life of the units that had never been suggested by other services in the past. 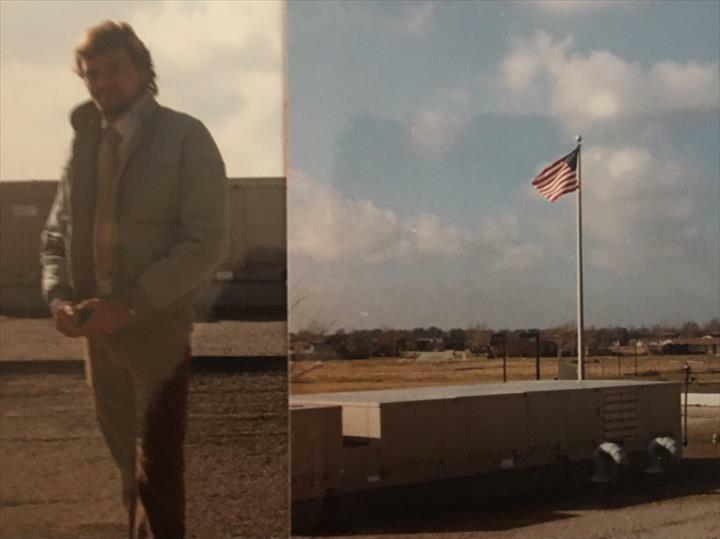 These guys aren’t wonderful and plan to use them on any and all future needs as well as refer them to any and all people in need of similar services." "Fast, reliable and communicative. Competitive pricing as well. Will definitely use again. I used them for a routine inspection and got exactly what I paid for. No price gouging or unnecessary repairs." "Very hard-working and efficient. 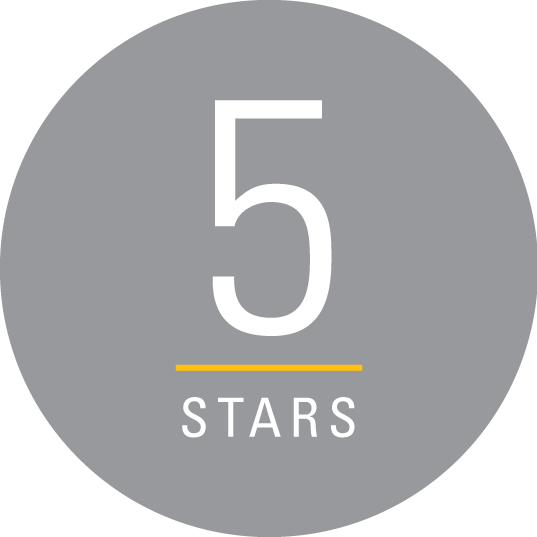 Will definitely be recommending them to all of my friends and family." 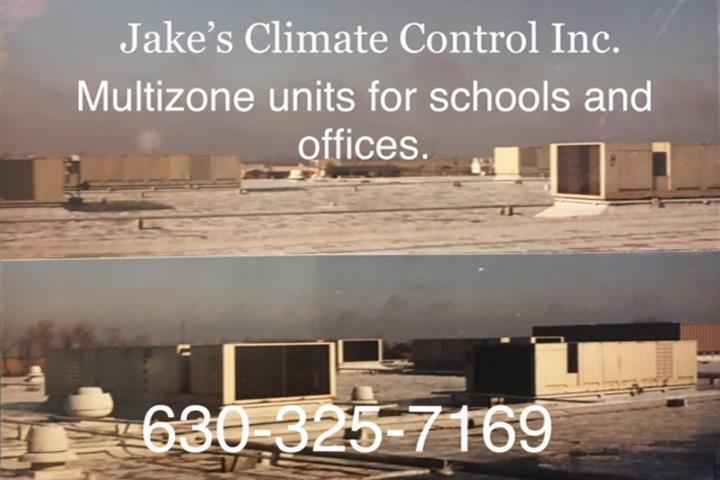 Jake’s Climate Control Inc., in Darien, Illinois, is the areas leading heating and cooling specialist serving all of Northern Illinois and Northwest Indiana for over forty years. 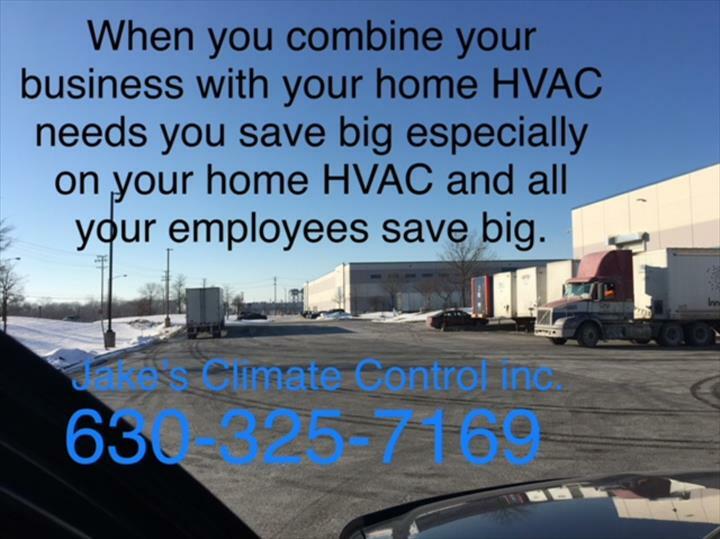 Jake's Climate Control Inc is family owned and operated HVAC company whose goals are to provide excellent and professional service to all the community at very competitive prices. 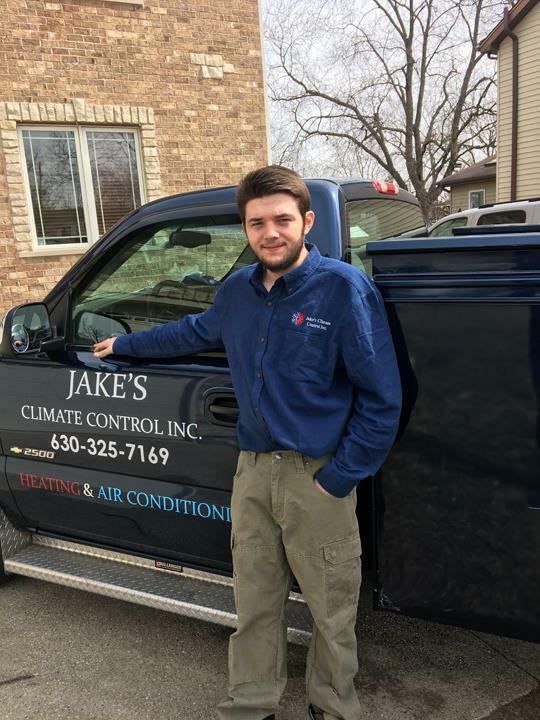 Jake's Climate Control owners have over 40 years experience in helping local families stay comfortable and cozy all year round, going above and beyond. 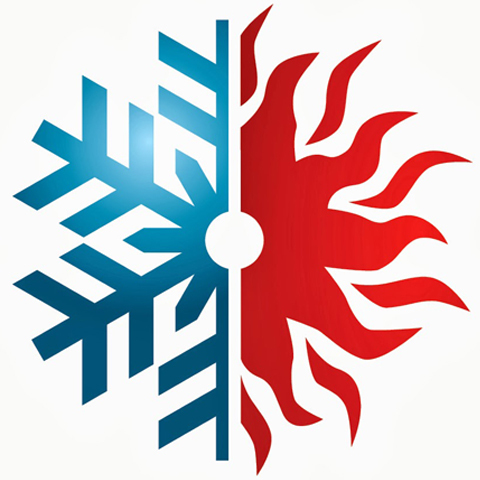 We specialize in Sales-Service-Installations-Maintenance on Residential, Commercial, Industrial “HVAC” Heating and air conditioning systems, we are here to serve you 24/7, in emergency conditions we have 75 Local HVAC Part and equipment Distributors that will open for us to get you up and running.